Since its formation Antar has continued to expand its expertise and offerings whilst all the time embracing the latest technology and practices to pass on to our loyal customer base. We have a proven track record and a wealth of experience in providing solutions ranging from a single pc to large turnkey multi-user computer systems. In addition to our ability to supply a large range of major brand hardware and software, our services include bespoke software development, consultancy, training and support. 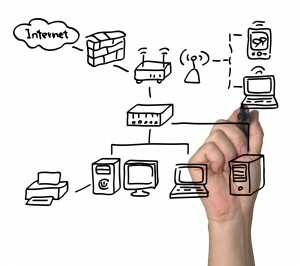 These services can be as simple as basic IT supplier through to full Managed Services Provider. In 2010 we listened closely to requests from our customers to introduce telecoms and mobile device solutions to our portfolio of services and products. Following a lot of in-depth research we chose Siemens as our preferred partner. We have since become an accredited reseller for the Siemens Openscape Business range of Unified Communications systems. We provide ongoing support to a large number of customers either working alongside their own IT staff or, in most cases, as their own IT department. Our remote management services enables us to address over 90% of problems without the need to attend site. This ensures minimal disruption and a rapid response. We use the latest monitoring tools that enable us to proactively manage customer’s systems on a 24 x 7 basis and frequently identify and fix problems before our customers are aware they exist. More recently we have added cloud based managed services such as McAfee’s Saas Endpoint Protection and our own Antar Vault off-site backup in addition to the Microsoft range of cloud services and products (e.g. Office 365).